I'm excited to be baking this week because we will be hosting a couple house guests soon! Not only am I happy about seeing great friends, but I will have more mouths to feed. I have strategically planned my assignments for this week, knowing that I will have someone other than me and my husband to eat all the goodies. One dessert that I love to make for others is the ever fancy French Macaron. They are finicky little buggers that take time and attention, but totally worth it to impress your friends ;) Spending a whole afternoon making dozens of macarons might seem like a lot of time just so they can be gobbled down in a bite or two, but giving them as gifts or sharing them with loved one will surely let someone know how special you think they are. Although I can appreciate the perfect crisp shell and delicate centers from a jim well done, it is a bit more rewarding to share. These Raspberry Coconut Macarons combine two perfectly delicate, light flavors of late Spring, just before the peak of berry season. 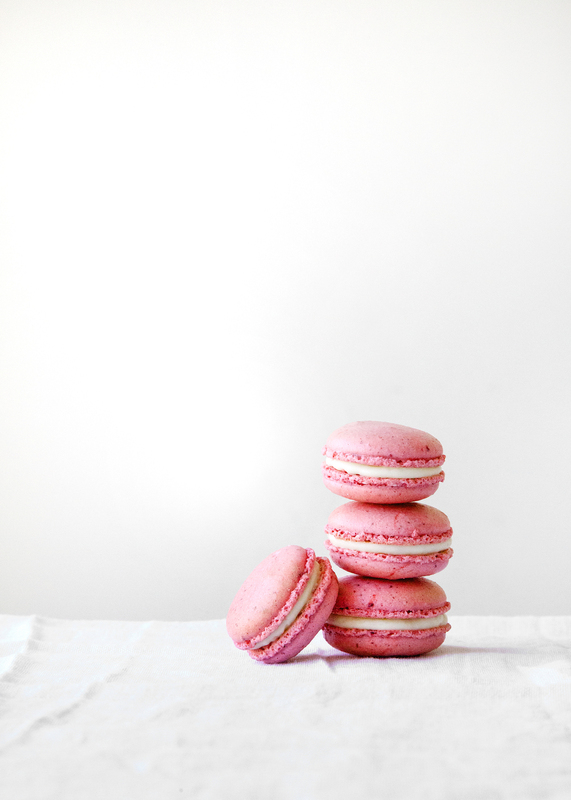 The pink shells of these macarons are not only pretty but flavorful too. I've added finely ground, freeze-dried raspberries to the almond flour for sweetness and color. The raspberry flavor is subtle, but pairs beautifully with the coconut filling. Find the full recipe over at The Kitchn.